Jorinde Keesmaat is a freelance stage director of opera performances and staged classical concerts in the Netherlands and abroad. Jorinde Keesmaat is appointed Guest Director-in-Residence at the Center for Contemporary Opera in New York for the period 2016-2018. Keesmaat creates multi-disciplinary performances that have a search for relationships between the individual spectator and the actors and musicians. Conventions as well as the established boundaries between classical concerts, opera and theatre performances have moved to the background. In addition to regular theatre and concert halls her performances regularly take place in unconventional venues. 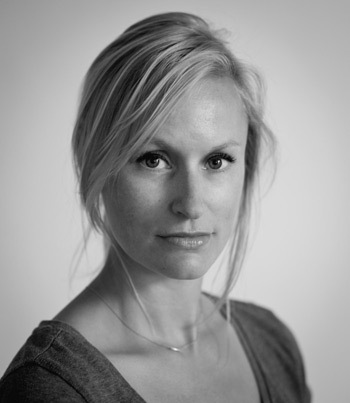 In 2003 Jorinde Keesmaat graduated at the College of Arts ArtEZ, theatre direction department. Her graduation performance The Honey Makers was shown during the one-act play festival Vital Signs at the Vital Theatre in New York. Jorinde Keesmaat is the permanent director of the concert series TRACKS at the Concertgebouw in Amsterdam. She also directed a semi-staged version of Mozarts opera’s Don Giovanni, Zauberflöte and Le Nozze di Figaro, commissioned by the Residentie Orkest. The Royal Concertgebouw Orchestra asked Keesmaat to direct the opera Hans en Grietje. In 2015, Keesmaat directed the opera La Clemenza di Tito at Opera National de Montpellier. Keesmaat also directed the first concert – with Geert Mak and Andreas Scholl – in a series of jubilee concerts in honor of the 125th anniversary of the Concertgebouw in Amsterdam. For a jubilee ocncert of Theater Carré in Amsterdam, Keesmaat made the show ‘1000 stemmen in Carré’. A concert with a thousand singers, composed by Merlijn Twaalfhoven. The Grachtenfestival 2015 commissioned Keesmaat to direct the Opening concert (in the open air) and the music-kickboksshow ‘Slaande Ovatie’. Jorinde Keesmaat regulary directs projects fort he Nederlands Philharmonisch Orkest, Jazz Orchestra of the Concertgebouw, Noord Nederlands Orkest, Gelders Orkest and the Residentie Orchestra. She is often asked to coach young, talented musicians. Jorinde Keesmaat is appointed Guest Director-in-Residence for the period of 2016-2018 at the Center for Contemporary Opera in New York. Keesmaat is invited by the Center for Contemporary Opera, New York, to direct a series of four productions over a three-year period. Three works will be by Dutch composers and one work from an American composer. The residency begins in October 2016 with a production consisting of two works by Louis Andriessen: Anaïs Nin & Odysseus’ Women. This production will also take place at the Muziekgebouw aan het IJ in Amsterdam on December 9th, 2016. The core of the three-year collaboration between CCO and Jorinde contains four fully staged opera productions. The well-known American dramaturge Cori Ellison, and composer Eric Salzman will serve as her mentor during her residency. To support Jorindes collaboration with the Center for Contemporary Opera, Fonds Podiumkunsten will grant Jorinde Keesmaat with the Fast Forward subsidy.